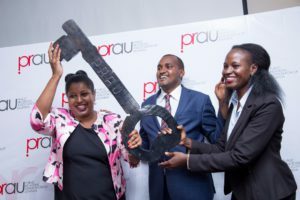 All roads will, this evening, lead to Sheraton Kampala Hotel as the Public Relations Association of Uganda (PRAU) hosts a PRAUNite – an annual event where Uganda’s PR professionals meet to discuss their trade and forge a way forward. The event takes place in the hotel’s Rwenzori Ballroom, starting 6pm. Under the theme: Crisis management in the digital era: A case of the banking sector, the event will be moderated by Simon Kasyate, the corporate affairs manager at Eskom Uganda Limited. The communicators’ do expected to be graced by Hon. Frank Tumwebaze, the minister for ICT & National Guidance, will feature panelists, PR gurus and social marketing experts including John Ssenkezi – the digital marketing and strategic alliances manager at Airtel Uganda; Jackie Namara – a chartered marketer, Walter Wafula – the business unit head at Brainchild Burson-Marsteller, John Chichi – a PR expert/entrepreneur, and Ivan Okuda – a distinguished journalist. The free event for PRAU members is open to non-members at a modest fee of UGX 100,000 per head. More than 100 PRAU members have confirmed attendance.